Why invest in external training? Quality training is ultimately a compliance issue. The current guidelines and directives require high quality standards and having adequately trained personnel. There is an expectation that well trained professionals should be constantly updated with appropriate continual professional development. In your company should always be checked, that the training meets the emplo yees’ and company´s operational needs. Why train with P.SS.T ? P.SS.T consultants are international active educators. They have trained company employees, students and professionals with a practical aspect to pharmacovigilance and regulatory affairs at all levels (from basic to academic). Our trainers have been dealing with the guidelines and developing the processes as regulators. They are using this experience as part of their daily work to teach. They have lectured at academic institutions, published papers and spoken at international conferences. P.SS.T trainers are passionate about their subject. 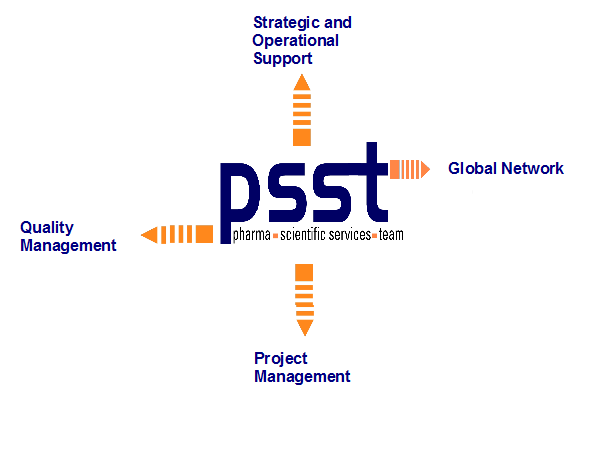 P.SS.T can offer in house courses as well as webinars. We adopt our training to the company´s specific needs and requirements. Additional we offer multi-media learning tools as well as scripts to intense your knowledge afterwards. Our educator is always your consultant with heart and professional strenght to find any costumer´s solution. Contact us in aim to talk about your goals and requirements!